# At Genotypic, Bangalore I was fortunate that I was to be able to work on all aspects and process of Next Generation Sequencing (NGS), as coordinator of the long term projects. I was there for approximately 10 months and the growth I saw in me was multi-fold. I give all the credit and am pleasantly grateful to the founders of the company, a couple of people I was reporting to and to all the people who were responsible for me getting the job. # My previous experiences include me working at AstraZeneca R&D India, (2002-2012) on drug discovery on Tuberculosis caused by Mycobacterium tuberculosis H37Rv. At AZ I was working on drug discovery projects and have made an in-depth bioinformatics-genomics contribution towards target prioritization, selection, qualification, and evaluation. My gratitude towards AZ is endless. I was supported, sheltered, trained, and funded as I went through the toughest time of my life. Here I was also globally exposed to the nuances of interactions, which now I know has trained me to be a very comfortable conversationalist. This attribute of mine comes to great use while I carry out my work at IADLife. Note from me: My introduction to human science was a few years ago and it had immediately resounded with me. I have studied this science for many years now and I can confidently and irrevocably call myself an expert in this field. This field has revealed that the human body is an amazing healing machine, and it just needs to be reminded that it has that quality and ability to self-heal. Changing ones thought pattern can change and thus heal health, enhance aspirations, manifest desires and explain life. Tools that support such an astounding process are many. All that I have learned I apply and make it available to all through IADLife services. This is my journey till now. I pray that I move forward to fulfill the intentions of IADLife and mine as I move forward. Full speed ahead. God’s speed. This entry was posted in Uncategorized on March 21, 2019 by IAD Life. 2018: The Year That Was. It was a year of self-healing and learning. There were new programs launched at IADLife and we had a new set of clientele from diverse backgrounds. The highlight of that was ‘the gratitude’, vision board making, de-cluttering, workshop for corporates – online workshops. I spoke about the #meToo movement (link: https://itsadeservinglife.wordpress.com/2018/10/12/metooforpeople). I have always been of opinion that everyone deserves healing and that healing can expedite when ‘all’ come together. ‘Hurt people hurt people’, so in this sensitive environment of pain and blame, channelizing of healing becomes selective. This will only bring healing to some, while the other people instead of receiving/taking healing may find another means to hurt by not getting caught. And because of that, the hurt might continue. Bullies and abusers of all age groups and genders need to be attended too to understand and heal the underlying causative reason for the hurt. (link: https://itsadeservinglife.wordpress.com/2017/01/03/choose-someone-your-size). My understanding of the guidance from a higher source is getting clearer. I am in a place to take actions and argue less on them, ‘but….I thought/I want…’ has reduced. I move forward with faith and excitement. Being responsible for my actions and the life experiences I have attracted were yet another courageous realisation that gives me a new power to solve and come to the ‘why’s’ of the life. All this is making me a better and better life coach and also gives me the space to explore the creative geniuses within me. What other growth and prosperity did I see? I am less nervous about my future and my life status. I tell myself that it counts. But the desires are very clear to me. I continue to ask for guidance on how to manifest them. This gives me the motivation to get up in the morning, keep going, moving forward, complete the pending ideas and have the courage to embrace bigger and better opportunities and set an intention of receiving bigger and better returns. It is great to stay in touch, so keep writing to me at iadlife.welfare@gmail.com. Let’s keep creating something fun for all of us. Thank you and wish you a very happy and fun 2019. What do you say when someone wishes you? This entry was posted in Uncategorized on December 31, 2018 by IAD Life. Corporate Burnout – a fact or a generalised misnomer? My understanding of ‘Corporate Burnout’ is that it is the forefront of something else that is happening in the background. What according to you is corporate burnout? I have fifteen years of work experience in corporate and then I started my own firm, IADLife. My experiences in the corporate are the first-hand conventional example of what people call as corporate burnout. Truthfully I don’t know that corporate burnout is what it can be called because even then I didn’t think that I was somebody who had utilised all the life experiences, skills, and opportunities in order to say that I had the possibility of a burnout. I thought there is more to do. There is more I am supposed to do, and there is more that can be done. I now understand after talking to many people and going through my own self-healing process, that this cannot be called corporate burnout. It is absolutely something else which is defining, dictating and promoting such a thought. It is easier for you to communicate the already established term, rather than actually trying to explain what your situation is. Because once you start explaining, A. It takes a long time B. It may have personal reasons attached to it which you may not be ready, willing or comfortable sharing/mentioning and C. You are not sure if the other person is really interested. Unless and until you have utilised all of your time and space on this planet to work during your work years, you cannot say that you have burnt out or you have burned out. The main reason or the causative agent of so-called ‘corporate burnout’ is stress. The synonym of this reason is tension. The main contributors to this are actually the misunderstanding and underestimation of self. You are self-critical and it is a way for you to try to take your attention away from an opinion that you have formed about yourself not knowing enough. What you hear around you is the reflection of your own thoughts. That’s the reason you hear it regarding your work from someone else. It could be the people in the office or outside, whom you are in any way willing to listen to. It could be somebody senior or junior at home, somebody who is related to you, not related to you, your peers, your friends, your neighbours, your colleagues, boss, somebody superior or influential to you and whom you are willing to pay heed to. But you are unclear where you are not doing enough and what more you need to do. This is the genesis of stress, suggesting you to give up and therefore the burnout. Is the ‘corporate burnout’ to do with setting the expectations and guessing the kind of work that is expected in an organisation? Yes, it could be. But this would be a very generalised suggestion. There need not be any guessing. Instead of saying ‘work expected in an organisation’, I would say, work expected in that project, work expected on that particular day, work expected in that particular moment. You can decide on your expectation based on that. As the attention diverts on to the blame there is no focus on the solution. There is stagnation in the same situation and accumulation of pent-up stress. Next, you want to take time out. Say, fifteen days out and you go to maybe a family outing, a resort or explore your creativity, you would go for a photography conference, a movie conference or a comicon, that is anything that is light and that helps you in relieving the stress. It is possible that it will work. When you come back, you come back rejuvenated. I am sure you do. But what happens is, if you are not addressing the reality behind the need for a break or so-called corporate burnout then, the fatigue, stress, and malaise come back. It is like you are refilling your lantern to reuse it but you are not cleaning the soot that is responsible for the excess fuel consumption. The lantern lights well. The fuel gets used up fast and it diminishes again. This really could be solved by actually addressing what exactly is it that is stopping you from enjoying having a job of that position, that place, that particular company, and of that particular environment? What is keeping you from enjoying the money that you are getting from it? And yes, it is putting food on your table. You buy clothes with that. You pay your bills with that. The job provides interactions, exposure, and expansion of your skills. All are the irreplaceable and valuable experience. And, you are being paid to actually learn and practice your skills. How about that? The solution is therefore in the action of you listing all the things that you already have because of this job. What you have because of the job could be a benefit or a learning. Benefits too, you may or may not see easily. These are the ones that give you pleasure. Learning is in the hurt, pain, and discomfort. It might seem like all that causes frustration, irritation, is hurting you at that time. They basically hold a learning. The situations that are causing this are trying to tell you something. Something you need to change. These teach you what not to do and from that emerges what you could learn to do. For example an abusive communication teaches you that it is limiting and therefore being creative in communication would be motivating and that you deserve a respectful conversation. That is what you could be grateful for. You may not see any point being in the situation at that time. However, if you try to run, escape or dodge from such a situation or experience, you need to know that you can run from people, you can run from a place but you cannot ever run from the learning. It will follow you in the form of similar life situations. These are called ‘patterns.’ Be it department, group, project or even organisation change. You may have the same situation recreating itself regardless of how many times you move. Unless you understand the real reason behind the discord and discontentment. A pattern is a very proven reality and I have experienced it up close. I moved from one organisation to another and I actually saw that the pattern continued till I actually was willing to take that responsibility of understanding the situation and making the changes in my life. By your willingness to address your situation you are also making changes at the organisation level and for that, you really will need to be at a place where people are really willing to hear you and for that, you have to be willing to hear your own self first. The idea behind these actions is that it brings your focus more on what you have. Be mindful of not listing based on what others don’t have. It is not about the number of people that are unemployed but at-least you have a job or that, even though you deserve a better job but, because many others don’t have this kind of job, so you stick to the job. That’s not what you want for yourself. That practice really doesn’t work. What is being suggested is that you could show gratitude for your achievements, available resources, experiences, and the path traveled. This could help you know that you are doing enough. Is it much more difficult to blame your own self? Most importantly it is not about blame at all. When you start realising that you are the person who can take responsibility for an unappealing situation, it might seem immediately or just initially that every single person other than you is responsible for that situation. You would want them to change. You could find resources to enhance your skills, improve your health, and add fun in life. You can start with a very simple step. Make changes in your words. Say what you actually WANT and DESIRE, rather than words based on what impression the past has left on you. All this will take all the focus and energy away from other people and bring it towards your own self. You will find less time to be critical and eventually become more loving and be respecting towards yourself. And when your focus is channeled towards you, it is only then that you get clear on the REAL situation and you get REAL solutions. What are the specific solutions and reality checks that are needed to make you realise that it is not others but it is you that has to take responsibilities for it? How do you work it out? Do you try and manage the time better? Do you try and feel better about the kind of expectation has been put over you? The whole vibration changes the moment you say, you could take responsibility because that indicates that you have the skill, support and the power to change your own situation. You are doing enough and you have all the skills and all the talent but because of your stress level, you are not enjoying the reciprocation, the accolades and other good things that are coming as a feedback to your efforts. Because you yourself are so self-critical that you are not able to see that you did a great job and you say something to the contrary, ‘I could have done this better.’ The appreciation doesn’t stop coming, it is you who has stopped receiving. When you take the responsibility, the way it will work is that your self-criticism will lessen or stop, as the first indication. The next thing will be, you will start being more kind and more loving towards yourself. Every single thing in this world is based on communication, whether your communication is within yourself or the communication is outside yourself. So, whether you are communicating with yourself or you are communicating with the world outside, the communication becomes very-very clear. There is no basis and therefore no space for arguments. When there is no argument then there is no anger, fear, frustration, or irritation. Only creative ideas are going to flow and the only thing that is going to happen is that it is going to enhance your career, project, interaction and the organisation where you are working. You are able to start viewing clearly what is happening in your organisation, in the place around you, with people, with the project, with yourself and in their life. You will now start noticing every single good thing that is happening in your workspace. Do Organisations themselves also need to incorporate certain measures, some amount of intervention to take care of their employees and keep them from giving up, quitting, leaving? What do you say an organisation is? An organisation is a non-living entity. When you are hurting and you seek solution it is a person to whom you will walk up to. An employee walks up to an HR and says that ‘I am not taking another day of the stress and I am quitting.’ To the employee, it might seem that he/she is saying it to the organization. But what he/she needs to know is that the organisation may not be affected. Organisation per say is a huge entity and it encompasses a lot of other people many of them are happy, some people are not happy, some people are medium happy and some people are happy at certain percentages. The point here is that every single person could take that responsibility of changing something in their life. What the organisation can do to promote this situation is to actually hire us. IADLife can talk to the employees and educate them on this aspect. 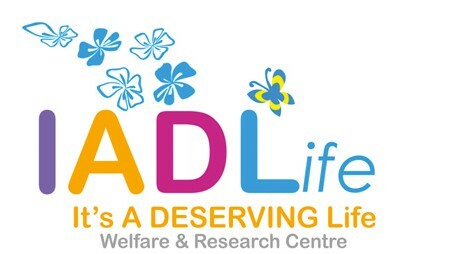 IADLife has a scientific basis for explaining and addressing the right issues. Our job at IADLife is to bridge the gap between the employees and the managers. When people work in association with each other, in collaboration with each other, in helpfulness on each other it is then that the projects prosper and the organisation actually blooms. The organisation, of course, has to take the responsibility so that they can reduce attrition, they can actually promote people to stay and be called as the best place for the employee. As every single person starts contributing to their own progress can you imagine the multitude of the progress that will happen? It is more profitable that way, rather than giving that responsibility to a selected few in an organisation like managers who already have enough on their plate with their own set of organizational responsibilities and importantly they are not part of corporate burnout. They are the ones who are climbing the organizational ladders. So, why would they be concerned about something like attrition? They would be concerned about getting their work done and they expect this to organisation’s responsibility to get the right person. Their job is to take the organisation forward, solving an employee’s issues is not in their profile. This is an extra responsibility, and people will keep shifting the blame, people will keep shifting the responsibilities because the fact of the matter is that these people are already doing their jobs which they are assigned for. This is a gigantic and an important job to take care of everybody that there cannot be one person responsible for everybody. Every single person could take the responsibility of changing each of their lives and just by changing their own lives they are basically changing the life of the whole organisation. Guidance and support will come from IADLife and the organization. This is how you are supposed to move forward and we are making people self-reliant. Isn’t that what an organization is looking for? Skilled people, talented people, creative people who are willing to take responsibility and thus comes loyalty, sincerity and willingness to actually support each other, stand by each other regardless of what the situation is, whether it is difficulty in projects, whether it is working in the weekends, whether it is taking care of somebody else’s house matters. I am truly thankful to Nishtha Sabharwal, Chief Copyright Editor from the Economics Times for the topic and for the questions that contributed in the flow of the article. This entry was posted in Uncategorized on August 27, 2018 by IAD Life.